Whether you're just visiting or live in Vancouver full time, spring break is a great time to get out and enjoy the warmer weather and plethora of events offered in the city each March and April. From weekend camping trips to visiting the city's museums, galleries, and special events, there's plenty to keep you entertained on your spring break vacation. When you're looking for things to do on spring break in Vancouver, sometimes the best place to look is outside the city—though you won't need to go too far away. Vancouver is perfectly situated for a wide range of day trips and weekend getaways. Some of the best Vancouver day trips allow you to see the breathtaking scenery of the Pacific Northwest while others offer some of North America's top ski and snowboard resorts. From picturesque villages and historic cities for shopping and strolling to the best spots for outdoor recreation, including camping, hiking, kayaking, and skiing, Canada just outside of Vancouver offers plenty of places to explore the great outdoors. While some day trips are family friendly, others offer a way for adults to get away for the weekend. Vancouver's top attractions aren't just for tourists—they make perfect things to do on spring break in Vancouver, too! Vancouver attractions offer something for everyone, from history and architecture to sports and outdoor recreation. While some attractions are for kids, most appeal to kids of all ages who are still fascinated by science, nature, and human engineering. When it comes to finding fun things to do in Vancouver for spring break, you don't need to spend a lot of money—or any money at all! Whether you're looking for family fun, time to yourself, or a unique way to spend the day, there's plenty to do for free in the city. You could bike the Seawall at Stanley Park, visit historic Chinatown sites, explore Granville Island, or enjoy one of the many free monthly events in Vancouver. Spring break isn't always sunny, but there are always plenty of fun things to do in Vancouver, even on a rainy day. Indoor activities for kids in Vancouver include ice skating rinks, swimming pools, and climbing centers. You can visit Spring Break Fun for Gills and Buoys at Vancouver Aquarium, the Bloedel Conservatory, or catch a show at one of the many children's theatres in town including the Arts Club Theatre and the Cultch. 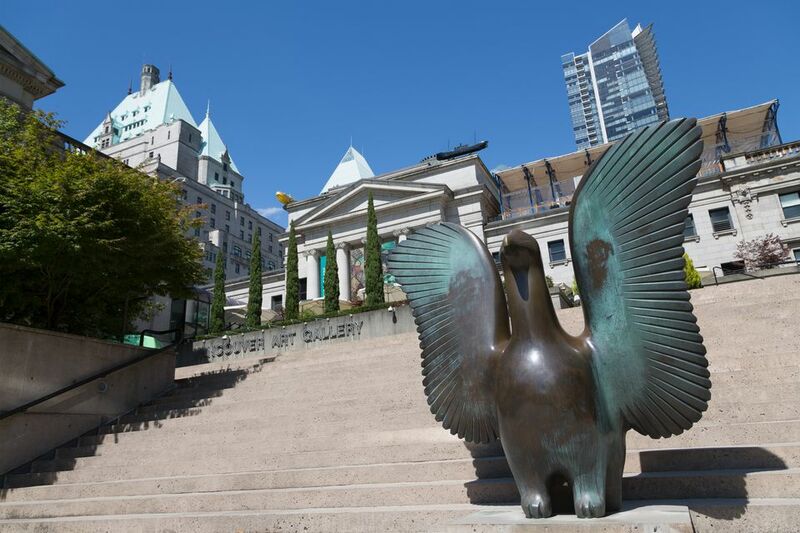 Every year for Spring Break, Vancouver museums, attractions, and arts programs offer special events, workshops, day camps, and exhibits for kids of all ages; they're a great way for kids to have fun while learning, too.